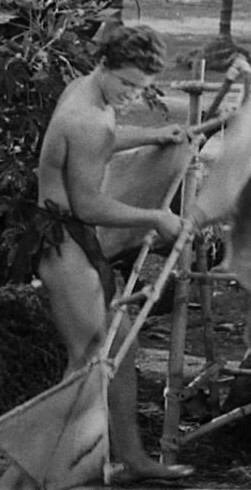 "In the 1947 Johnny Weissmuller Tarzan movie titled Tarzan and the Huntress, the ape-man's son Boy, builds a glider-type plane capable of flying while carrying him. 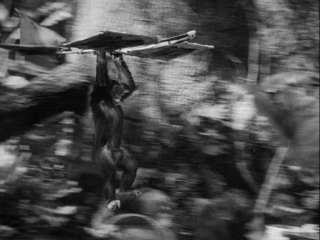 Before Boy has a chance to test it, their chimp Cheetah, apparently seeing the glider's potential, steals it. Hanging on for dear life Cheetah jumps off some rocks covering quite some distance through the air before eventually crashing into the trees and falling to the ground." On the third page of ZEN ENLIGHTENMENT: The Path Unfolds, discussing Cheetah's use of Boy's glider and my early childhood interest in human powered flight, I tell how my older brother loved to build model airplanes and continued to build bigger and better models until eventually he was constructing and flying huge gas engine powered remote control six-foot wingspan B-24 Liberators. He was also the apple of my father's eye. My Uncle, noticing the situation, decided I too could impress my dad with airplanes and flight, only through art. 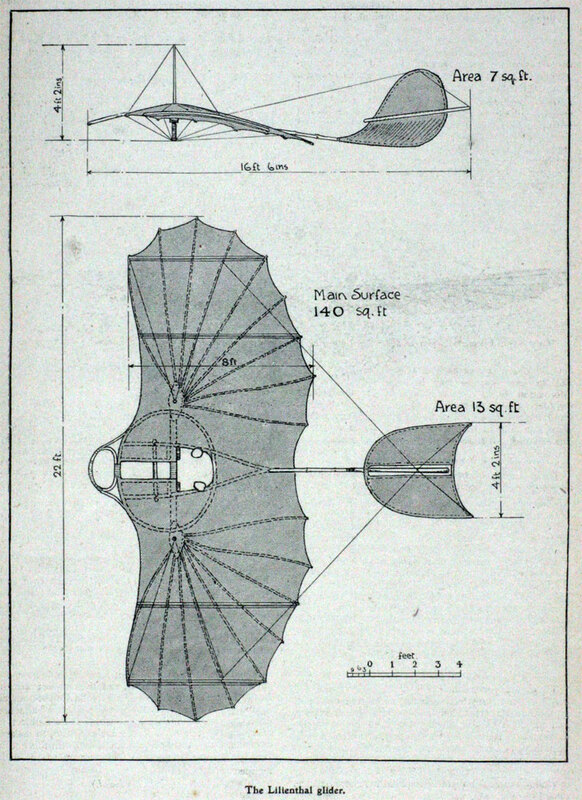 Combining that almost uncontrolled interest in human powered flight after seeing the glider scene in Tarzan and the Huntress together with a near obsession of the artist Leonardo Da Vinci, under my uncle's guidance and a seemingly unlimited supply of money provided through the graciousness of my Stepmother, I researched and studied everything I could find on Leonardo and his flying machines. 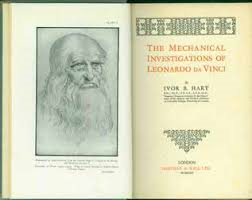 My uncle and I read magazine articles, scoured used books stores, went to libraries, talked to professors, and even obtained what initially became our working 'bible,' a copy of The Mechanical Investigations of Leonardo da Vinci written by Ivor B. Hart and published in 1925. Then, gathering all the info, we put about building our own machine by combining our 1948 ideas with Leonardo's fifteenth century ideas and Otto Lilienthal's 1895 ideas of some four-hundred years later. As stated previously, I am not sure what my uncle's exact plan for the machine was, that is, were we building it to actually fly the thing or not, and if so, was I the one that was going to be the solo pilot. For me there was no doubt, but, rather than receive a no vote or being stonewalled, I just took it upon myself to bypass any obstacles, man made or otherwise. It was during the summer of 1948, just before school started and around age 10 or so, I removed the flying machine my uncle and I built from the hanging position of it's construction lair and hauled it up to the rooftop of the second story building across the street. Then, holding onto the machine for dear life, I jumped off. The flight made the local press with a reporter doing an interview with my uncle and showing me next to the wrecked craft. 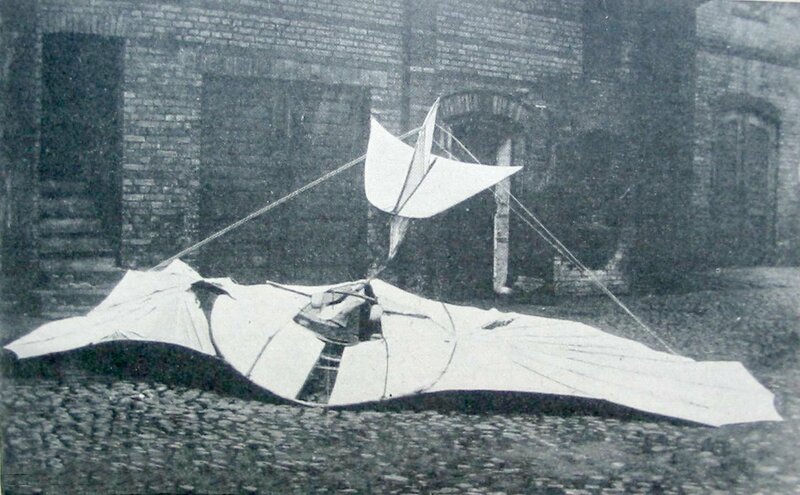 Two nights later my uncle and I were in the garage contemplating repairs of the flying machine, now hanging securely from the rafters, when a man in a dark suit and a hat stepped in through the open garage doors from the darkened alley. He talked to my uncle in muted tones for a few minutes, then, stepping back out of the garage, flashed a pen-sized flashlight on and off down the alley a couple of times. A few seconds later a sharp-looking light green Lincoln Continental convertible with the top up and headlights off slowly pulled up in front of the open garage doors. A tall lanky man dressed to the nines like he was on his way to a high-class nightclub or something crawled out of the back of the car on the passenger side and came around the front of the car just barely staying out of the light. My uncle and the two men talked in the alley a few minutes then my uncle and the lanky man came into the garage, all the while the two of them looking up and walking around under the machine while my uncle pointed out some of the crafts finer attributes. After a short time my uncle motioned me over and introduced me to the lanky man. His name, Howard Hughes. Interestingly enough, even though I was just a kid, unbeknownst to my uncle I knew Hughes on sight as I came within seconds of meeting and talking to him a year or two before. Early one morning around June 12, 1946 or so I was a few blocks north of Redondo Beach outside the the old High Spot restaurant in Hermosa Beach at the top of the hill where Gould Avenue rises up from the beach and intersects with Pacific Coast Highway hanging with the ex-marine taxi driver I was staying with at the time. 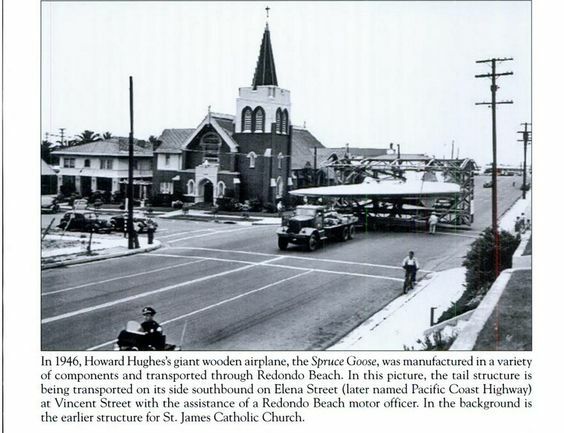 The two of us were planning to spend the day catching up with, watching, and following the giant Hughes flying boat, the so-called Spruce Goose, being transported by truck and trailer in pieces from Culver City to Long Beach. The ex-marine was sitting on the front fender of his cab with one foot on the bumper drinking his morning coffee and I was drawing circles in the dirt with a stick when a black sedan pulled off PCH into the parking lot. A tall lanky man in a hat and wearing a brown leather jacket got out and looked around for awhile and in the process making eye-contact with the ex-marine followed by a slight head-tip toward each other. The taxi driver told me the man was Howard Hughes, the owner of the flying boat we were going to see and that I should walk over to talk to him. I didn't. This time Hughes talked to me. He asked me about building the craft, the flight, and what flying it felt like. After a few minutes he headed back toward the car. Just as he was getting into the back seat he turned and told me he had wrecked more than one airplane himself, then he said, "Say hi to your mom for me." Tanya Rawlins, AKA the Huntress, leads a group of animal trappers into a heavily jungled apparently African nation in search of animals to help replace the dwindling number of animals in zoos around the world. The king of the country allows the hunting party access, but imposes a quota of only one male and one female of each species. The king's nephew conspires with some of the hunting party offering to lift the quota for a price. He arranges for an accident that results in the death of the king and leaves the king's son unconscious and thought to be dead, in essence escalating the nephew to the throne. The nephew's plan begins in favor of the hunters until Tarzan, who lives on the other side of the country's river-border, learns that the trappers are capturing way too many animals. Tarzan calls all the animals to his side of the river and the hunters, ignoring Tarzan's warning cross the river after them. Tarzan and Boy discover the injured prince and tell the people of the jungle nation the truth about their king's death. He then tracks the hunters, killing three of them and calls in his elephants to trample the main camp freeing all of the captured animals. The corrupt leader of the hunting party falls into a lion pit and torn apart, the Huntress, apparently unaware of all of the underhanded goings on until it was to late, manages to escape by plane. The king's nephew takes his rightful place on the throne and the kingdom returns to normal. As for the battle, during the early morning hours of February 25, 1942 the whole city of Los Angeles and surrounding communities were in an uproar as thousands of rounds of anti-aircraft shells were expended in an attempt to pull down whatever it was in the sky that night. The slow moving object, said to be as big or bigger than a Zeppelin, was caught in the glare of the searchlights from Santa Monica to Long Beach and seemed impervious to the constant barrage of shells. It eventually disappeared out over the Pacific after cruising along the coast and cutting inland for a while. 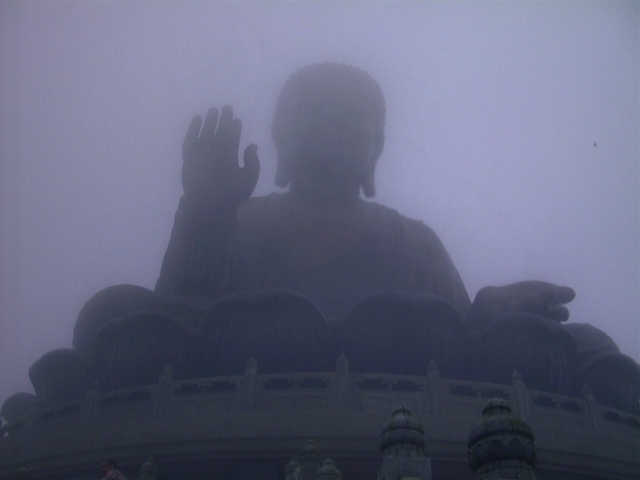 The huge object was never clearly explained and was basically hushed up without response from the authorities. My stepmother was quite wealthy and picked up the tab on most if not all of my learning experiences and childhood adventures. For it all to unfold in a timely manner and with the correct guidance she also picked up the tab on my uncle overseeing me. Inside a good portion of those folds you could almost always find somewhere lurking nearby like my godfather, one or both of my two brothers, my first cousin, a boy around my same age somehow related to my stepmother by the name of Richard, and a kid we called Bub President Hudson. The kid, and the reason I bring all of this stuff up, was the son of some movie actress my uncle knew that went on-and-on continuously all day and night telling us that his mom was a spy and that she went to school with Tarzan. Bub President Hudson was a very young boy, the youngest in our group. Where he came from none of us knew, he just showed up one day and started living with us. How he could have come up with such a story about his mom being a spy and going to school with Tarzan by just making it up out of whole cloth as well as having the last name Hudson, is beyond comprehension if it was not so --- especially if you take into consideration and compare what he said in relation to the background of an actress my uncle knew named Rochelle Hudson. Rochelle Hudson (1916-1972) was a starlet at 13. 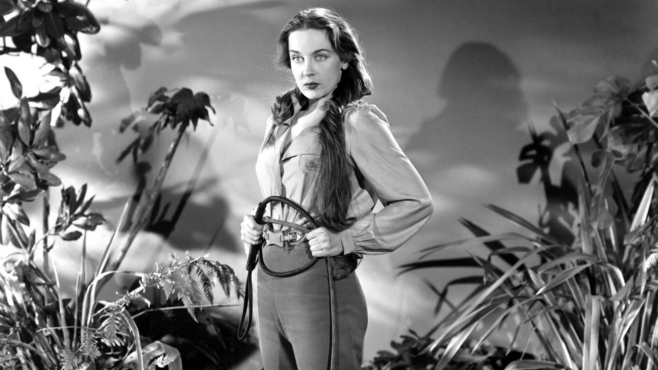 She was also a longtime family friend of Edgar Rice Burroughs the author/creator of Tarzan The Ape Man. 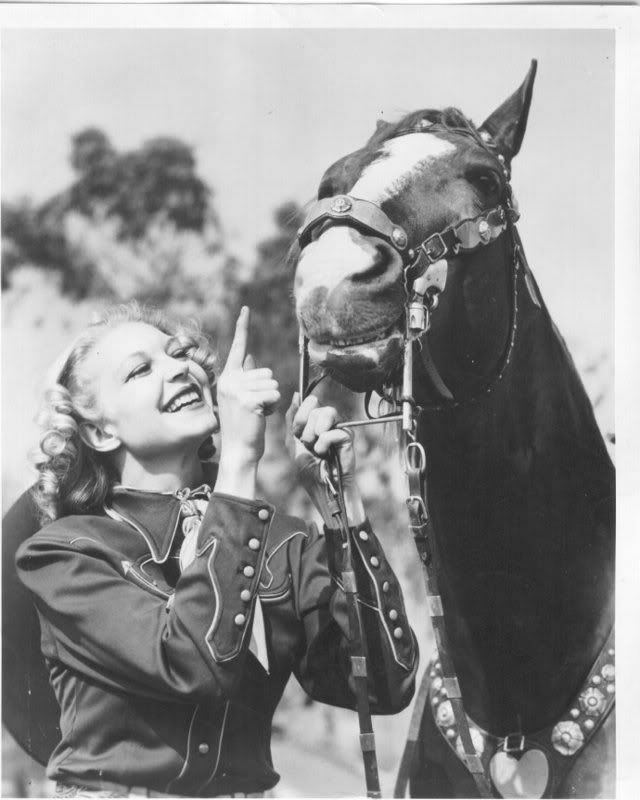 Reportedly snubbed by her schoolmates because of her rising fame as a movie star, she became close friends of the Burroughs family, often given rides to school by Burroughs' son Jack and going on vacations with them. The only problem with the whole Bub President Hudson scenario relative to Rochelle Hudson is that she was not known to have had any children. 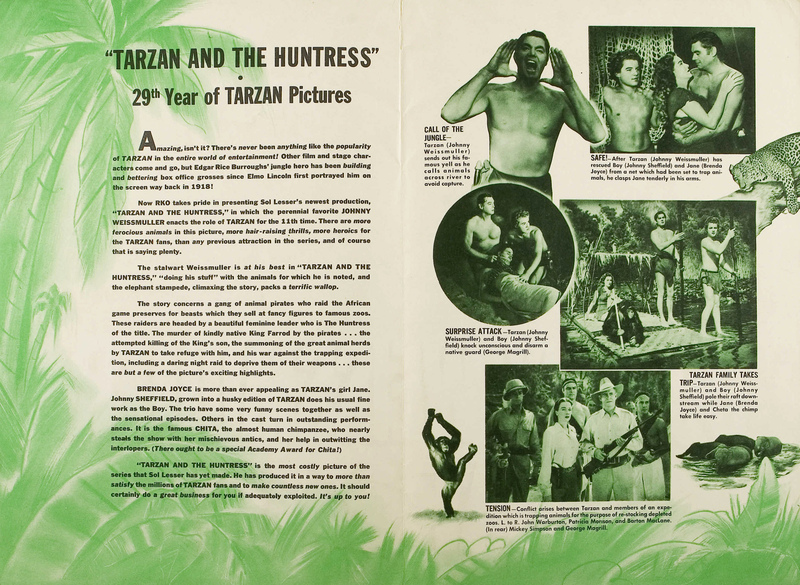 Throughout the years that this page has been online I've made every attempt to make the Tarzan and the Huntress movie easily accessible by just clicking the graphic below and streaming the film with no download requirements or cost to the reader --- mostly in order for the glider scene to be seen. Over and over the sites have gone down, whether it is on YouTube or some other site they get shut down. The last English speaking site I linked to, like all the others, was shut down, and months went by. Recently however, a new Tarzan and the Huntress site has shown up, so I'm trying again. Click the graphic below to see if it still available. 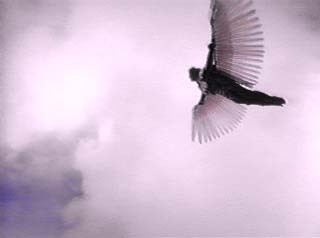 Hopefully someday someone will make a YouTube copy of just the glider scene that won't be removed. At the top of the page in the opening paragraph I mention how my older brother loved to build model airplanes. He started small, but was soon building huge, beautifully executed six-foot wingspan models even though age-wise he had not yet reached his teens. How he accomplished such adult-like finesse at such a young age was based on two things. First, a remarkable innate talent, expertise, and ability to build almost anything, especially model planes; and secondly, the generosity of our stepmother, although on his part, not fully deserved. I say so because, bottom line, he hated her and made her life as miserable as possible. He remembered our real mother and our family and would not accept our stepmother in any role --- plus she interfered with his relationship with our father. He wanted him exclusively and did not like the fact that she took basically all my dad's time. Even so, she lavished her generosity on him anyway. For one thing, in that she recognized his love for building model planes and was so good at it, she set up, just for him and without concern for costs, a complete workshop with every piece of equipment or tool imaginable that anybody would ever want or need to successfully build a model plane or almost anything else for that fact. She also provided an 'open account' at one of the best hobby shops around, Colonel Bob's. What that meant was he could go to Colonel Bob's, take whatever he wanted off the shelves or order it, and with no money exchanged, just sign for it. The bill would go to my stepmother. Colonel Bob's was located within walking distance on West Pico straight north on Arlington and to the left a few shops from the compound where my brother's and I lived. Often when my older brother would go there I would tag along because next door or possibly upstairs, I don't remember which, was a place that sold model trains that had the most beautiful model train setup that I had ever seen, with mountains, towns, cities, bridges, roads, cars, trucks, and busses. If the train stuff was part of Colonel Bob's or not I don't remember that either. I do know I went there every chance I got. My brother signed for his purchase and walked out. The man behind the counter, seeing I was so mesmerized by the Da Vinci story I hadn't seen my brother leave, shook me on the shoulder and said I could take the comic if I wanted because he was sure the owner wouldn't be back very soon to get it. 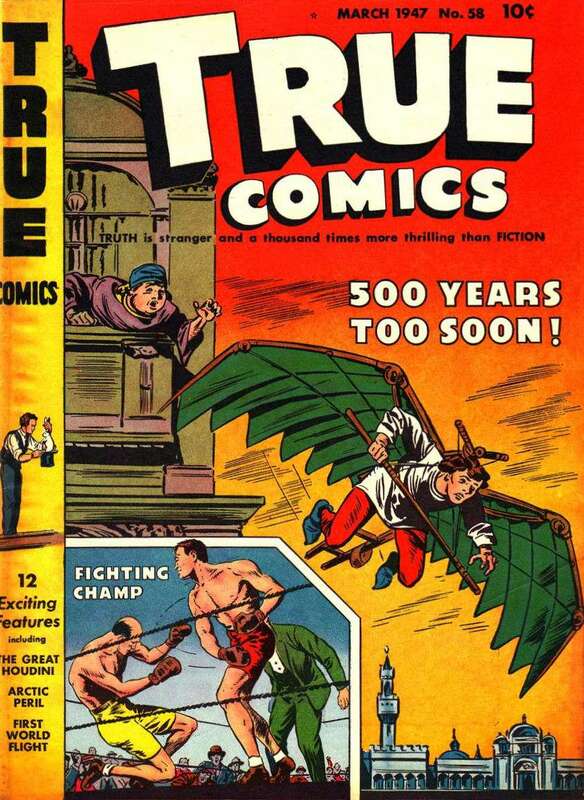 The comic book was True Comics, No. 58 with a cover date of March, 1947. 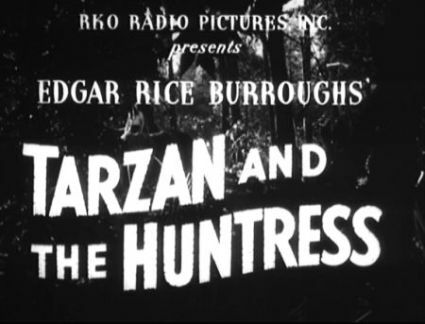 Tarzan and the Huntress was released at almost the exact same time, Saturday April 5, 1947. I am pretty sure I had the comic book with the Leonardo Da Vinci flying machine story in my possession and read BEFORE seeing the Tarzan movie. If you click the graphic below and scroll down the page that comes up you will come to a graphic of the exact same comic book cover. In the upper right hand corner of the cover is a box with 'NEXT' in it. Click that a couple of times and you will come to the complete Leonardo story. Seeing that the movie version of the glider would just not do the trick no matter how many changes we introduced, my uncle, after observing me on-and-off going over the comic book version of "500 Years Too Soon" for the billionth time, convinced me to turn our attention to a more thorough exploration of the works of Da Vinci. In the beginning that was mostly accomplished through the previously mentioned book The Mechanical Investigations of Leonardo Da Vinci, by Ivor B. Hart, a copy of which my uncle was able to scrounge up from someplace somehow. 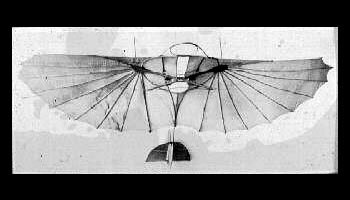 Then, still not really going anywhere with a genuine workable design, in an almost miracle of a coincidence, something unusual happened, our discovery of Otto Lilienthal. "One day when I was around ten years old we went to a smoke shop inorder for him to obtain bidis, a handmade country cigarette from India that usually contains a small amount of, it is said, Sacred Datura. Because the cigarettes were questionable as to their legality, the proprietor, who knew my uncle, took us into a back room to conduct business. Several men of Indian descent were doing whatever men do when they hang around in the back room of a smoke shop." The above quote relates to a specific occasion. However, my uncle went to the smoke shop on a fairly regular basis and usually I went along. Invariably we would be taken into the back of the shop and invariably, like the quote says there were men of Indian descent, and sometimes others, doing whatever men do when they hang around in the back room of a smoke shop. India is a Commonwealth country and in those days the more well to do Indians continued maintaining strong ties to England. In so saying, the smoke shop leaned heavily toward British cigarettes, cigars, and tobaccos, of which one brand was Lambert & Butler. In most cases a British brand of cigarettes would mean nothing, but in the case of Lambert & Butler an interesting set of events unfolded. On one of the days my uncle and I went to the smoke shop I was carrying a model of the Tarzan and the Huntress glider along with a bunch of sketches and drawings of various versions of flying machines. By the time of this particular visit I had become a pretty much of a known quantity, with some of the men speculating amongst themselves that I may have even come under the influence of the Bhagavan Sri Ramana Maharshi. An older man, not Indian but English, took notice of my glider model and while looking over my sketches asked if it worked. I told him I was really trying to make a life size one that could hold me so I could fly. A look of glee came over his face, and all excited he turned to my uncle telling him he might be able to help. He said if we could wait at the smoke shop for a few minutes he would go get something and be right back. In an article titled Area 51, Groom Lake, Roswell, which touches on the remote-to-potential possibility of using reverse engineering emanating from objects of extraterrestrial origin to create new earth based technology, I mention that my first real job out of high school was as a trainee technical illustrator --- basically because how adept I had become from only a couple of years of high school drafting experience. One of the things technical illustrators did in those days was to use the two-dimensional blueprints of any given item and turn them into a visual recognizable three-dimensional image (on flat paper) called an isometric drawing. 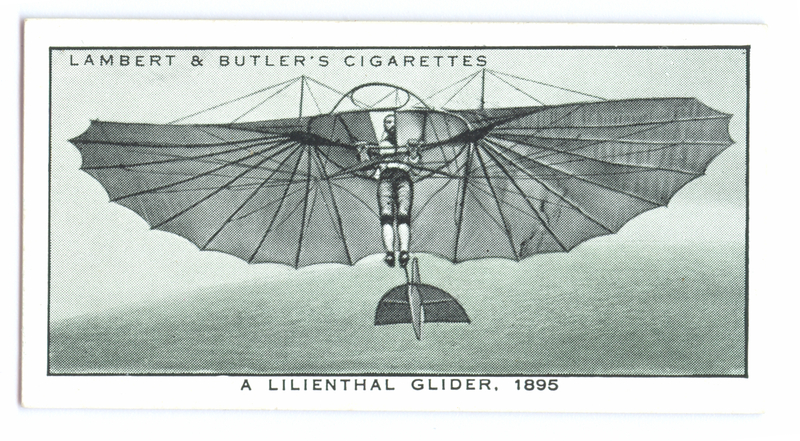 My first experience with isometric drawings came about when I was around ten years old and started doing the design work with my uncle using the Lilienthal glider as found on the trading card as inspiration for the construction of the craft. Once we got the correct wingspan of the real glider we were able to adapt the length against the trading card wingspan and figure out the dimensions of the rest of the craft in all directions. Although my uncle was eventually able to locate Lilienthal's actual wingspan dimension from someplace, at first it looked like it wasn't going to happen. So said, to get started my uncle, using the average width of a man's hands, and measuring the hands of the man shown on the trading card, extrapolated out the wingspan in the number of inches. When he was finally able to locate the actual wingspan of the real craft, my uncle's deductions were nearly spot-on to Lilienthal's. Please take note my mention of "Arlington Street." As a young boy with several years under the auspices of my Stepmother growing up in, or at least operating out of as a base of operations, the so-called Adams District of Los Angeles, of which encompassed Arlington Street where it crossed Adams, there was an exclusive gated area called Berkeley Square and close by, near the corner of Western and Adams, a huge bricked in compound where some guy had his own private domed observatory. When I went back twenty years later seeking out my infamous two-story high Arlington Street launch site, I discovered that the Santa Monica Freeway, which didn't exist when I was a kid, ran eight or more full lanes wide right through the old neighborhood, completely wiping out Berkeley Square and other houses for blocks around. "Lavish mansions stood prominently along West Adams Boulevard and nearby Berkeley Square housing the affluent. They were symbols of stateliness and elegance, designed by the best architects of Europe and the US." Berkeley Square was an exclusive gated neighborhood located in Los Angeles, California, just east of Arlington Street between West 21st and West 24th, bordered on the west by South Gramercy Place. The neighborhood is now gone and covered by the 10 FWY, but from 1920 through to the early mid-1950s was full of dozens of large and expensive mansions. Multi-millionaire Erle P. Halliburton, who founded what eventually became Halliburton Oil, maintained a residence at number 19 Berkeley Square with his immediate family. His youngest son, David J. Halliburton, who I met and had an abstract impact on my life, was born there. Although I lived with my uncle at the place we called 'the compound' my stepmother's primary residence was a few blocks away, and like Halliburton's, also in Berkeley Square, he and is family at number 19, my stepmother at number 10. Hughes referring to my 'mom' was of course referring to my stepmother, who he apparently knew in some fashion. As to the ex-marine taxi driver, even before the death of my mother and what seemed a never ending ongoing series of events I ended up living with foster couples that I had never seen or heard of in my life. Long before my dad married my stepmother I landed in the home of a couple who lived in Hermosa Beach but owned a flower shop in downtown old Redondo Beach. Not liking the arrangements for reasons I am not able to remember, I ran away from home. Without anybody knowing where I was or having anybody's consent I ended up staying with an only recently discharged World War II ex-Marine taxi driver that had fought his way up through all the islands in all the major battles in the Pacific from Guadalcanal northward. Over and over people have asked just who was that marine? After all I was just a kid not even ten years old and he was a grown man. Was he a friend of the family, a relative, somebody I knew from the past? The answer is he was none of those things. I basically just met him out of nowhere. In April of 1946 a huge old dancehall along the Redondo Beach waterfront called the Mandarin Ballroom was renovated and a fairly well established western bandleader by the name of Texas Jim Lewis approached the City Council to run the newly renovated ballroom under a new name: Texas Jim's Redondo Barn --- which they approved. Lewis turned it into a western swing venue with himself and his Lone Star Cowboys playing at the top of the card, sometimes with as many as 10,000 people showing up on the weekends. There was a female vocalist that sang for Texas Jim or possibly Spade Cooley that, even though I was a kid, I had become smitten with. I don't recall her name and although I have my strong suspicions, research has come up with little or no positive results. 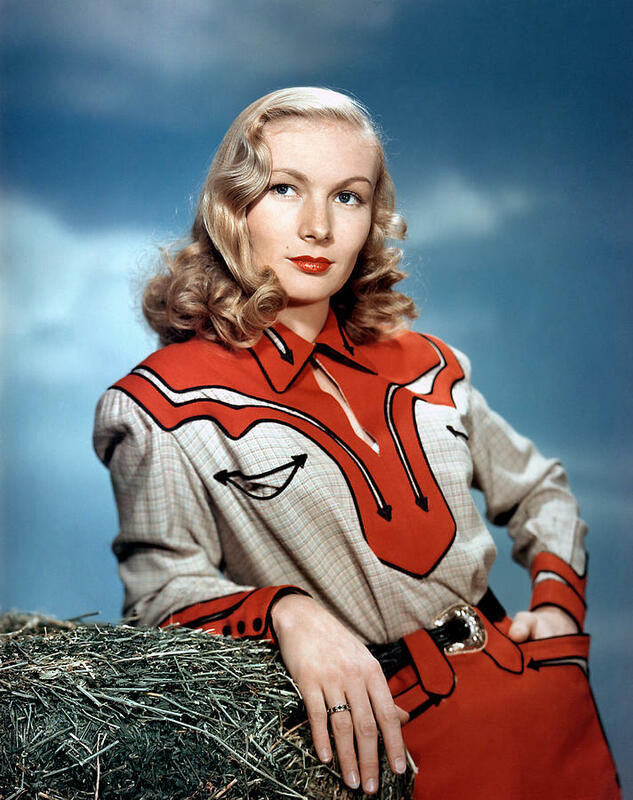 However as I remember her she looked a lot like a cowgirl version of a popular movie star of the time named Veronica Lake, with long platinum blonde hair, ruby-red lips, and dressed in the finest female western singer regalia --- white cowboy boots, just below the knee white satin skirts with big embroided roses and arrow-ended pockets on white satin western-style blouses with snap buttons. Whenever the vocalist came on stage to do one of her numbers and I was selling flowers I would go sit on the edge of the stage and just stare at her. Somehow, and I do not remember how, we began talking to each other and over time I told her my tale of woe. In any case, her friend was the marine. Between sets and after the show the three of us would go down to the Wagon Wheel Cafe, basically just below the dancehall to get something to eat. One day I decided to run away. I gathered up what few things I had and went down to the waterfront and got in the shotgun side of the marine's taxi and never left his side to speak of until my grandmother came and took me away. The singer always told me she would take me away with her someday and my dream was that she and the marine would get married and we would live happily ever after. Of course, such was not the case. I never saw either of them again after my grandmother took me back with her the day she found me. One night, like I often was, I was in the Wagon Wheel Caf� with the ex-marine and the singer when a man stepped up to our booth telling the ex-marine that some months before he had been a fare of his, having been taken to Torrance Memorial Hospital to visit a former Navy friend who had been seriously hurt in an auto accident. He said since then he had been contacted by an anonymous source saying the taxi driver had found something he had left in the cab that may have been of some value to him. The man, apparently without realizing it, had left an envelope in the ex-marines taxi, an envelope that contained a large number of photographs of the man and a bunch of Navy guys in the South Pacific during World War II. By the time the ex-marine discovered the envelope then tried to locate the man's friend in the hospital, the friend had already been released. Over a period of weeks, since the man never came back for the envelope, using his connections and information about unit numbers and such on the photos the ex-marine was able to track him down, leaving a message that he had the photographs. The man, thinking he had left them with his buddy in the hospital, showed up at the Wagon Wheel Caf� to pick them up. Personally, for the record, although many say it would be a stretch, I still have a tendency to lean toward Cindy Walker, a country-western singer and song writer of some repute. She came to Los Angeles with her parents from Texas in 1940 at the age of 22 not returning until 1954. Interestingly enough, it has often reported she never married. However, in an interview with the New York Times shortly before her death, without giving any details, Walker stated she did at onetime have what turned out to be "a very short-lived marriage." Love is a funny thing and not every minute of Cindy Walker's life was etched in stone. If she was in love with the ex-marine, no telling how she may have conducted herself. 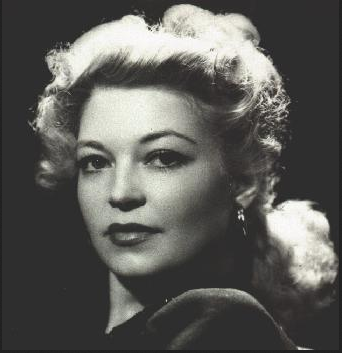 In 1941 Walker signed a five year recording contract with Decca based on the strength of a demo she sang titled "Lone Star Trail." The Decca contract led to her recording several songs and working with Texas Jim Lewis and His Lone Star Cowboys. For a few years Texas Jim's Redondo Barn would have been a perfect forum. 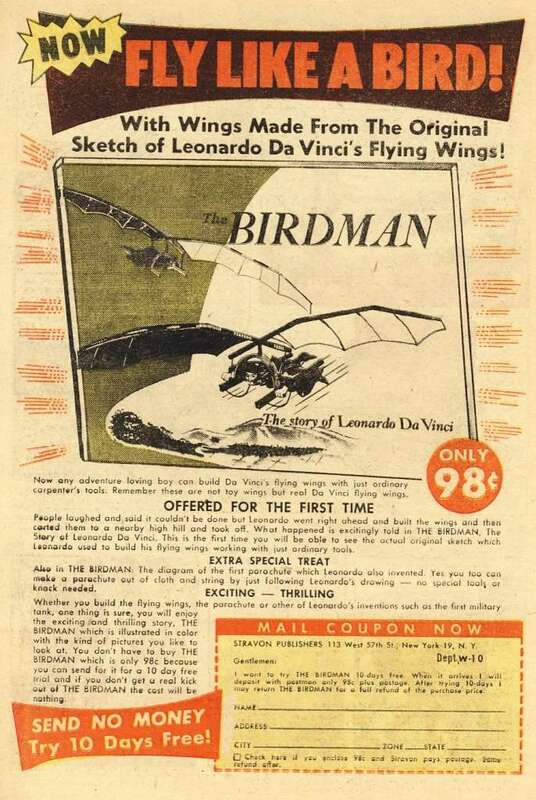 In 1951, three years after building my own flying machine and attempting to fly with some manner of success, Stravon Publishers came out with a small book titled THE BIRDMAN: The Story of Leonardo Da Vinci. 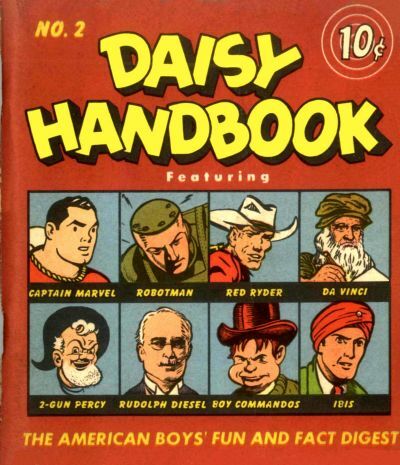 Shortly after publication, the book, 31 pages long, began showing up advertised in a somewhat flamboyant fashion in mass market comic books touting any number of claims. 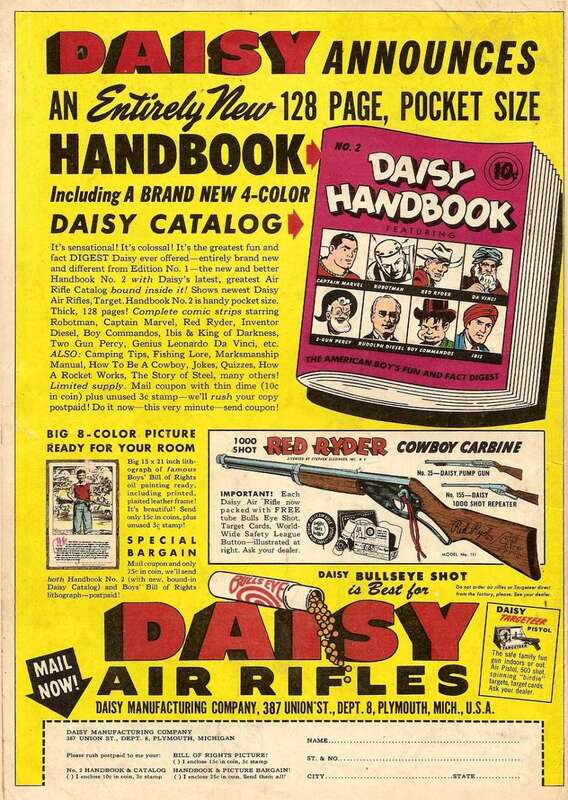 The ad was published in half-page and full page, sometimes black and white, sometimes in full color. I know the ad showed up in 'Cloak & Dagger' #1, as early as October of 1952 as well as G.I. 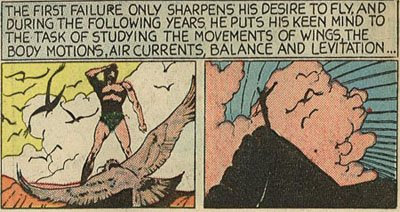 Joe #17, November of 1952, along with any number of other comics clear through at least 1955 or so, possibly beyond. How many kids tried the same thing and what any of their results were is not known. After reading the ad and having seen the book, probably more kids ended up with broken bones than ending up scott free and successful in their endeavors. However, opening up any number of them to Da Vinci and the possibility or dreams of flight along with accompanying learning in any number of connecting areas would have to be viewed in a somewhat positive light. 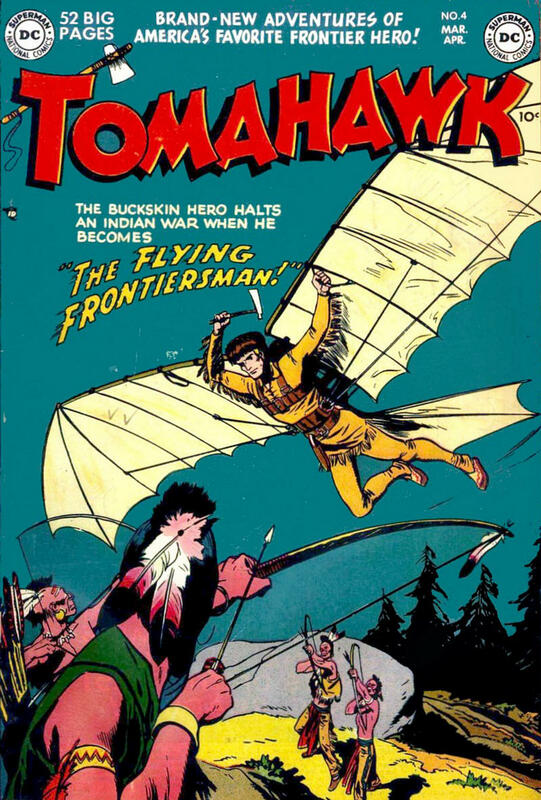 Sometime before the above ad on The Birdman began showing up in almost every comic book and all over the place, DC Comics, in their eventually to be long running and popular series about a Daniel Boone type frontiersman named Tomahawk published issue #4 dated March-April 1951. What was so special about issue #4 was that inside it had a follow-through cover story titled The Flying Frontiersman. 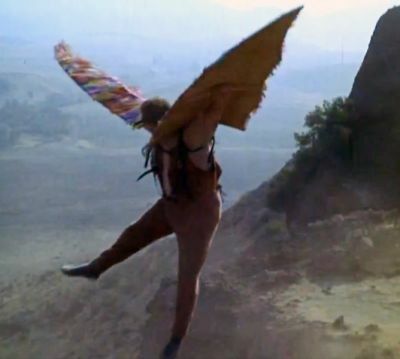 The story featured their main character, Tomahawk, who, in 1771, five years before the U.S. Constitution was even signed, takes a flying machine based on a Da Vinci design almost like the one I built and flew, albeit unlike mine that I crashed, Tomahawk uses his to successfully battle a renegade Native American bent on stirring up a war between his tribe and settlers. Even though I had been known to jump off one-story porches, garages, and house tops with a bed sheet made into a parachute or behind my back tied to my wrists and ankles a la Captain Midnight's glider chute on more than one occasion, my very, very first serious attempt to build an airplane-like craft that would carry me in flight was based almost exactly on the glider I saw in Tarzan and the Huntress as seen above, except for a few slight modifications. 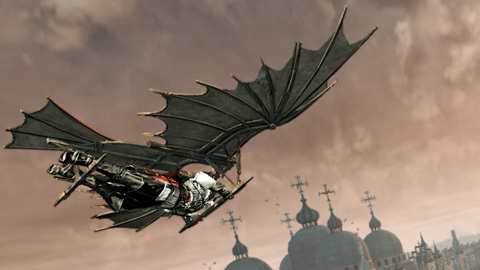 When I first came home after seeing the movie all jacked up about building a flying craft capable of carrying me, initially my uncle just sort of played along, offering a few suggestions such as wider wings and a longer wingspan. My uncle was sure for a duplicate of the movie glider to even coming close to working, even though the movie showed Johnny Sheffield, the actor who played Boy, holding the glider it never showed him using the glider (only Cheetah). It was quite clear relative to Sheffield's weight the wingspan and wing width was wrong --- even for me, being a ten year old boy and probably half Sheffield's weight. 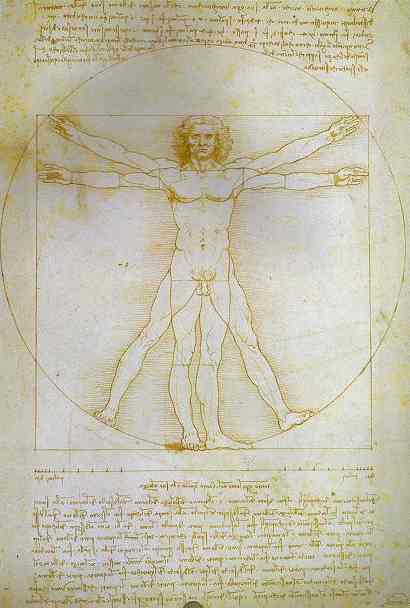 It was only after my uncle saw how serious I was that we began researching Leonardo Da Vinci and eventually moving to a Lilienthal design, most notedly his Type IX. Well before the time of my first wayward flight so inspired by the glider as as shown above, I was already well on my way toward a fascination regarding the ability to fly, flying machines, giant flying creatures, giant feathers, et al, that seemed to dominate in later life, including the venerable World War II fighting machine, the P-40 Warhawk. My uncle stated many times that he felt the reason for my fascination with flying and flying things went back to an incident that involved the fly over of a giant airborne object that I witnessed as a young boy. The object, of an unknown nature and an unknown origin and as large as a Zeppelin at over 800 feet in length, was seen by literally thousands of people along the coast of California barely three months into World War II. 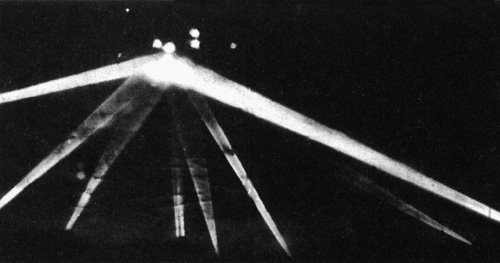 Known variously as the UFO Over L.A., The Battle of Los Angeles, etc., etc., or as I call it The Battle of Los Angeles: 1942 UFO. 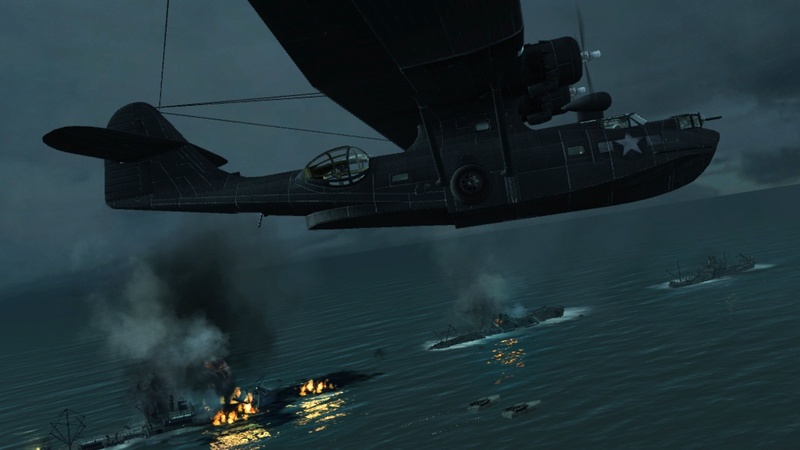 Even though the object was able to take over 1440 direct rounds of anti-aircraft fire and still escape unscathed, the incident is mostly forgotten now except by maybe myself and a few others. 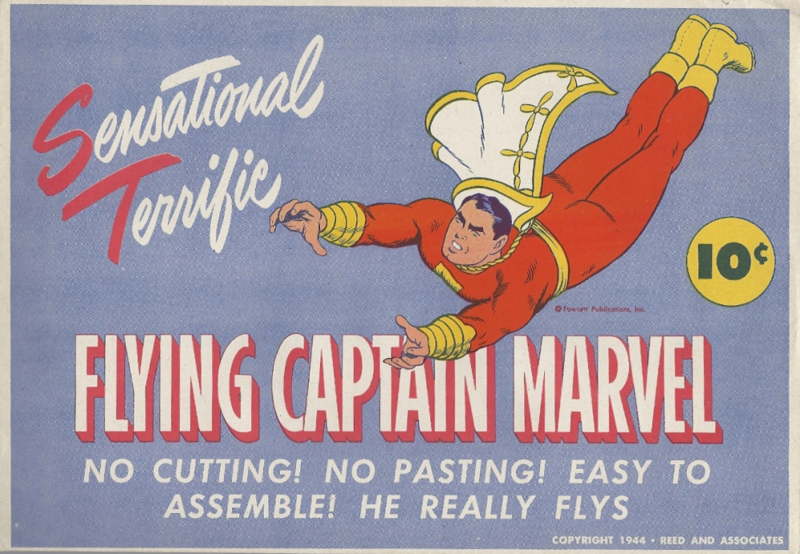 Actually, although the L.A. UFO no doubt had a major impact, I personally think what really capped my fascination regarding the ability to fly was born from a germ initiated from building, flying, and watching a glider-like paper flying toy with a penny in it's nose called the Flying Captain Marvel.